Carriageworks today announced a three-week long program and significantly expanded footprint for Vivid Sydney 2016, headlined by the premiere of projects by internationally renowned artist Björk as part of a extensive line up of music, exhibitions and food – 27 May until 18 June 2016. Carriageworks is a major precinct for Vivid Sydney 2016, marking the third successful year the Redfern-based contemporary multi-arts centre has been involved in the annual Sydney event that celebrates light, music and ideas. 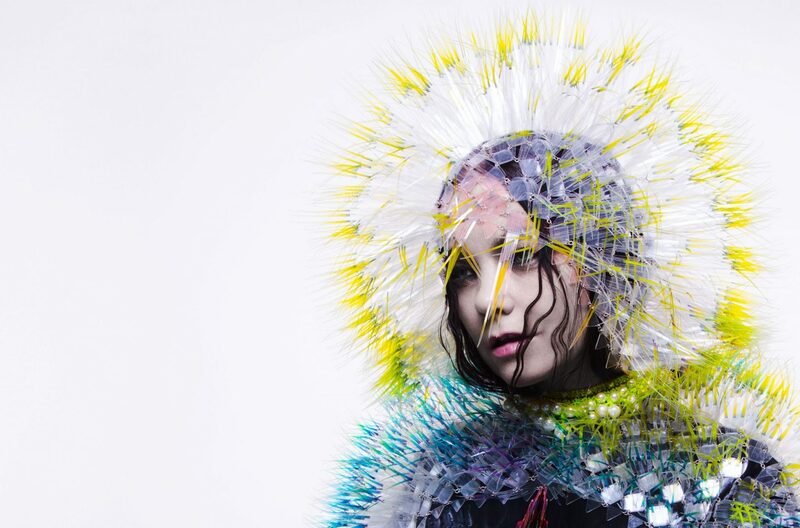 The three-week program at Carriageworks is headlined by work from the iconic Icelandic artist Björk, who was recently crowned best International Female Solo Artist at the 2016 Brit Awards following the success of her most recent album Vulnicura. To celebrate the opening of the BJÖRK DIGITAL exhibition, Björk will travel to Sydney to curate a night of music at Carriageworks, where she will DJ with special guests for one night only on Friday 3 June 2016. BJÖRK DIGITAL invites visitors to an exhibition of digital and video works that are the result of Björk’s new collaborations with some of the finest visual artists and programmers in the world. This will be completed by the Australian premiere of Black Lake, an immersive virtual reality cinema experience where the audience is encased in the claustrophobic and visceral experience of Black Lake. The work is directed by Los Angeles-based fashion and music filmmaker Andrew Thomas Huang and was filmed in the highlands of Iceland. Björk invites audiences to experience for the first time her work in virtual reality, including Stonemilker – directed by Andrew Thomas Huang and Björk. In Mouthmantra – Björk collaborated with Jesse Kanda who directed a brilliantly claustrophobic video that is filmed from inside the Icelandic icon’s mouth, her tongue and teeth warped and twisted seemingly taking on a life of its own. A curated program of Björk’s extensive video work will be presented where visitors can view work spaning the artist’s 24 year career during which time she has collaborated with film directors including Academy Award winners Spike Jones, Michel Goundry and Nic Knight and Stephane Sedanaoui. There will also be an additional immersive multi-media educational experience including original music, interactive artworks and musical artefacts for Biophilila. The Vivid Sydney announcement adds further weight to the Carriageworks 2016 Artistic Program, which represents the most ambitious program to date for Australia’s leading contemporary multi-arts precinct. Carriageworks has undergone unprecedented growth over the past four years, welcoming more than 790,000 visitors in 2015. The 2016 Artistic Program brings together a risk-taking, culturally diverse line-up of more than 54 projects, spanning visual arts, dance, performance, film, talks and music which will support over 740 artists.